Although it may not spring to mind instantly, PAT 1 has been one of the most viewed plates of our time, on children's television. 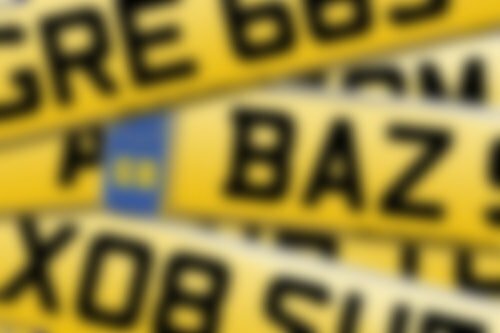 Read the history behind this famous cherished registration. We often encounter number plates with an enthralling history behind them, but none caught our eye more so than the plate 'PAT 1' which has recently become available. The gracious village postman Pat Clifton, along with trusted sidekick Jess the cat has captured the hearts of both children and adults over the last twenty-five years. 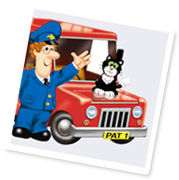 He is famed for his bright red, royal mail post van displaying the licence plate 'PAT 1'. However, Pat, nor the creator John Cunliffe, or anybody at the BBC ever held the right to that number! The plate is actually possessed by the Mills family and has been for many years. They did in fact question Biddy Baxter at the BBC as to why this number plate was being displayed, but out of goodwill the matter never went any further. The plate is currently available to buy at the price of £155,000, and even though Pat is back in business with his new animated series, he will have to work a lot of overtime to buy it! This number along with many others is being sold exclusively through National Numbers. In order to view a full list of available plates check out or clever search option or call us - we are open seven days a week and always happy to help.